There was blood, I saw, in the sink, brown, and some scarlet, and I smelt the peculiar smell of carbolic acid. Then, through an open doorway beyond, in the dim light of the shadow, I saw something bound painfully upon a framework, scarred, red, and bandaged. 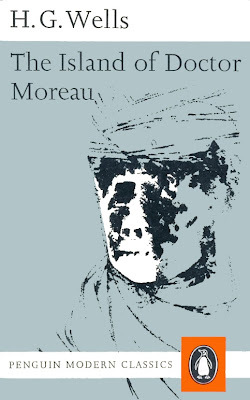 If, in terms of theme and lasting influence, there is a companion novel to Mary Shelley’s Frankenstein, it is H.G.Wells’ The Island of Dr. Moreau: A Possibility (1896). The book’s narrator is stranded on an uncharted Pacific island where a renegade scientist is conducting forbidden experiments, far from civilization’s censure. 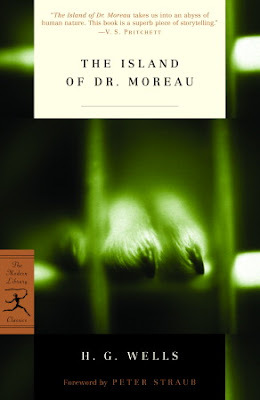 Dr. Moreau’s blasphemous conceit is to turn animals into men through mutilation, grafting, transplants and drugs. The resulting deformed chimeras are turned loose on the island where they struggle with the conflicting man/beast impulses that drive them. They are kept in check by an abiding fear of their creator and his torture laboratory, known to them as The House of Pain. The book was an early effort of Wells’ and it would remain, by far, his most horrific novel. It raised a storm of controversy, the use of live animals in medical experiments being hotly debated in England at the time. The British Union for the Abolition of Vivisection, still active today, was formed barely two years after Wells’ book was first published. Wells, later on, was moderately apologetic about his novel, writing, "The Island of Dr. Moreau is an exercise in youthful blasphemy. Now and then, though I rarely admit it, the universe projects itself towards me in a hideous grimace. 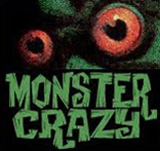 It grimaced that time, and I did my best to express my vision of the aimless torture in creation." Jeff Nevins, on his excellent Fantastic Victoriana site, suggests that Wells might have thought of Moreau not as a mad scientist villain, but rather as a doomed hero. The book yielded numerous films. The best adaptation, undisputedly, is 1932’s Island of the Lost Souls, still genuinely disturbing even by today’s standards. 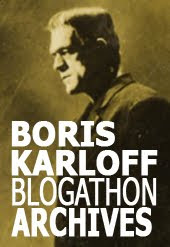 Directed by Erle C. Kenton, it features stunning photography by Karl Struss and a frankly lurid script by Waldemar Young and Philip Wylie. Charles Laughton played Moreau with bulletproof hubris, and Bela Lugosi appears in a small but important role as the beastman “Sayer of the Law”. In addition to its shocks, the film exploits a perverse sexual angle with the introduction of a female character (there is none in the book), a panther-woman played with charged exoticism by Kathleen Burke and advertised as “Throbbing to the Hot Flush of New Found Love!”. Moreau attempts to mate her with the castaway hero. Wells absolutely detested the film and applauded its being banned in England. 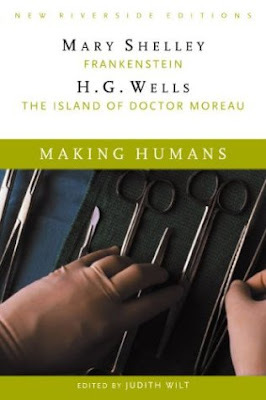 The Frankenstein/Moreau connection is explored in Making Humans, edited by Judy Wilt, collecting both Mary Shelley’s Frankenstein and H.G.Wells’ The Island of Dr. Moreau, along with a number of articles in context, including essays by Erasmus and Charles Darwin. 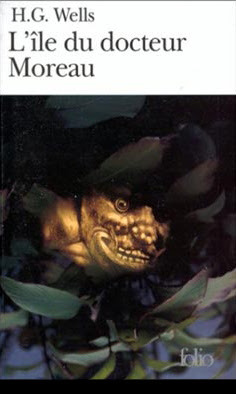 There are numerous editions of The Island of Dr. Moreau currently in print, including omnibus editions collecting several of Wells’ novels together in different combinations. You can read the novel online, here. It is also available as a free download in text form or audio from gutenberg.org. Great observation. Which reminds me... I'll have to dig this up for the blog, I've got an old issue of Variety here somewhere, maybe 20 years ago, that ran an ad for, would you believe it, DAVID CRONENBERG'S FRANKENSTEIN. A producer was trying to get Cronenberg to do a take on Frankenstein and he ran the ad to kickstart the project. It didn't work. Thanks very much for the feedback, Jim. Denizens of the Darkness looks great and has been added to my links! Please do post the David Cronenborg's Frankenstein ad if you get the chance! By the way, nice blog! Thank you, Shane. I WILL post the ad, but this will take a while. I saved the issue, but it's in a box, in storage. I'll get to it eventually. It was just a title, no illustration, but those two words together — Cronenberg and Frankenstein — made you jump. I love the silent horror films. Has anyone ever seen an original movie poster for the Edison Frankenstein? I would love to have it in my collection.